As women of 2017 it is our fundamental right to not shave our legs if we so please and show them off proudly for all the world to see. But, thing is, our hair doesn't grow that quickly, so while we're waiting, there's these hairy leggings. 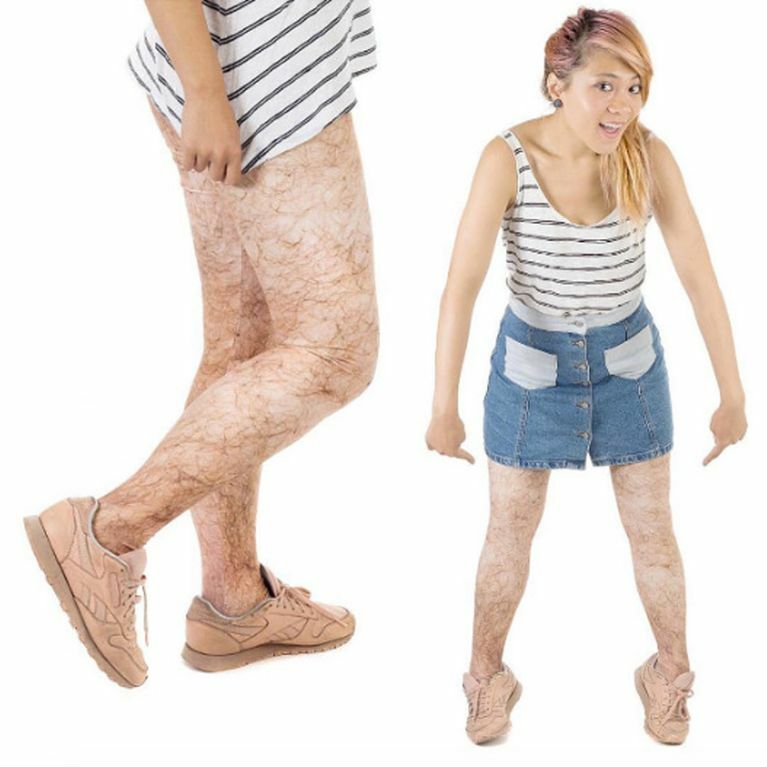 Hideous but also great, clothing company Contrado's latest hairy edition are designed for ladies who so wish to parade their hairy legs without having to physically grow their own hair. Why you would want to do this, I have no idea but each to their own. Contrado editor Claire Belle Freed said: "The shocking clothes angle is something that we are seeing more and more which is why we are keen to supply these designs to our customers as well. From naked body parts on men’s boxers and women’s underwear, superfan designs of their favourite celebs, to very clever and witty slogans on our T-shirts and dresses, there isn’t anything we haven’t seen – or anything that shocks us anymore!" Weirdly, these extra leggings aren't listed on Contrado's website so maybe they've been so popular they've sold out but there's been no word of them being re-stocked. This isn't the first time hair has made a fashion statement - last month a hairy-chest swimsuit was released.